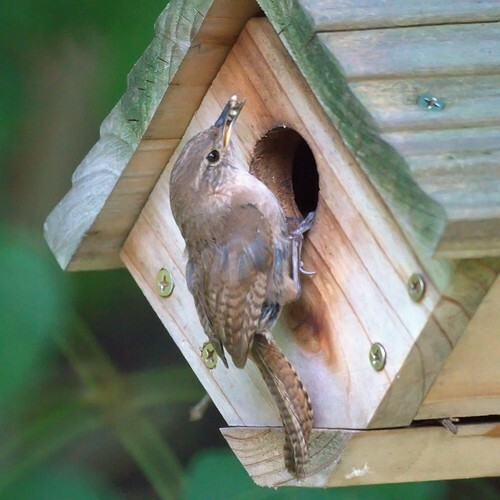 House Wren at Wren HouseThe woodpecker babies are almost grown and occasionally visit the feeders by themselves. The baby ducks are the same size as their mother. At this time of the summer, the baby wrens get all our attention. Baby Turkeys: Was it Worth It?